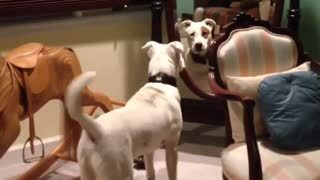 "Cute Dog Plays With Her Reflection in Mirror"
Rumble - "Puppy dogs are such silly creatures and we absolutely love them for that! 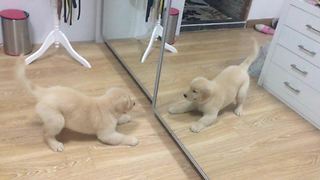 When puppies encounter their reflections in the mirror for the first time, there are so many different ways they can react to it. Some try to get away from it, others get totally confused by the exact same dog staring at them, while some decide to play with their reflections. 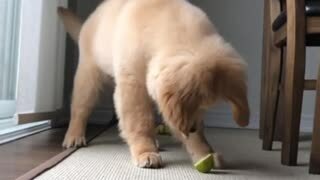 And the last option is exactly what the adorable puppy from this video chose! 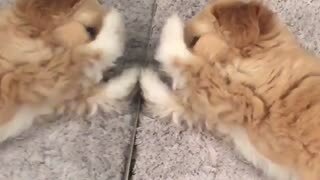 She’s jumping around and rolling over in such hilarious fashion bumping into her reflection! OMG, how excited is this adorable pooch? 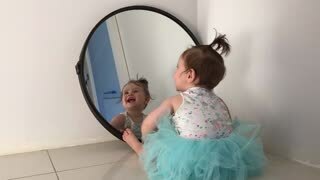 Seems like she’s dancing like nobody but her reflection is watching! And it almost looks like she’s even giving her reflection kisses and cuddles. Too cute! In the end, she backs away hoping to get rid of her reflection, but it’s no use. 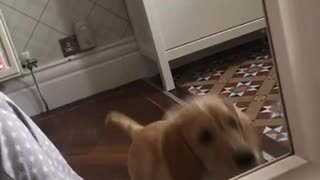 The reflection is still there, even though she doesn’t want to play with it anymore. 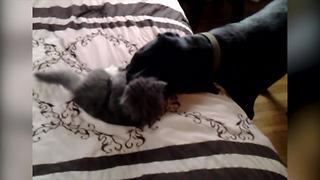 Oh, you silly doggy! 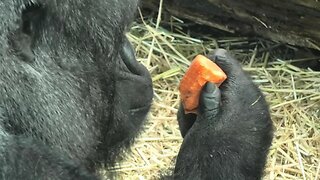 So adorable!" 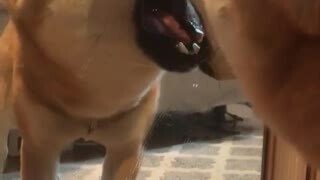 "Cute Kitten Plays With Big Dog"